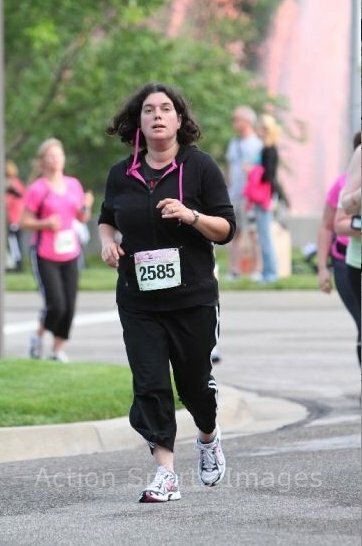 On Sunday, I ran my 2nd 5K. My first was on April 1, well that was the first I ran in, I had walked 3 in the past. I knew I could finish the 3.1 miles, but I also knew I wasn’t very fast. I finished that first 5K in just over 44 minutes. It was a small race and while I wasn’t the last to finish, I was pretty close to the end! 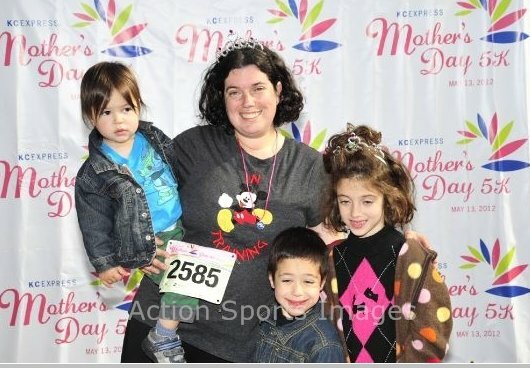 This Sunday was the Mother’s Day 5K. There were 3065 women in the race! I lined up after the 12 minute mile runners, in the run/walk group. I still walk occasionally when I do 3 miles! 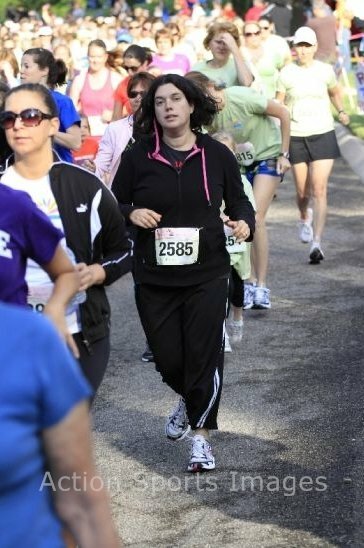 I’m proud to say that I ran (jogged) most of the race, with few walk breaks, and I felt good the whole time. Don’t I look great? Haha. My goal in the race was to finish in 40 minutes. I had been running 3 miles at about a 13-14 minute pace so I thought this was an attainable goal. And I did it! My time was 38:33! That’s almost 6 minutes faster than my last 5K race. My per mile pace was 12:25, which is my fastest time yet. I know, it’s pretty slow. But I’m not a runner and never have been, so it is a really good time for me! I finished 137th out of 369 in my age group and 924th overall. Dave and the kids met me at the end of the race and they were proud of me!